Attorney General Holder to Resign, Says We Should Consider Rescheduling Marijuana. As he announces his resignation, Attorney General Holder has signaled that he thinks it may be time to reschedule marijuana. "It's certainly a question we need to ask ourselves, whether or not marijuana is as serious a drug as heroin, especially given what we've seen recently with regard to heroin -- the progression of people, from using opioids to heroin use, the spread and the destruction that heroin has perpetrated all around our country," Holder told Yahoo global news anchor Katie Couric. "And to see how, by contrast, what the impact is of marijuana use. Now it can be destructive, if used in certain ways, but the question of whether or not they should be in the same category is something that we need to ask ourselves -- and use science as the basis for making that determination." Chicago Mayor Emanuel Just Says No to Legalization. Just a day after he called for marijuana decriminalization and the defelonization of drug possession, Mayor Rahm Emanuel said marijuana legalization is a step too far. He was responding to remarks from potential challenger Karen Lewis, head of the Chicago Teachers Union, who suggested legalization was "another source of revenue we ought to look at." Connecticut Dispensaries Now Open for Business. The state's first licensed grower sent its first shipment this week to dispensaries, which promptly began selling it to qualified patients. All six dispensaries in the state should be open this week. SurveyUSA Poll Has Florida Initiative at 53%, Needs 60% to Win. The latest SurveyUSA poll has the Amendment 2 medical marijuana initiative with 53% of the vote, but since the initiative is a constitutional amendment, it needs 60% to pass. That's a slight drop from the last SurveyUSA poll, which had support at 56%. Importantly, while only 53% said they would vote for it, only 31% said they would vote against and 15% were undecided. If the undecideds split evenly, the initiative will squeak out a victory. More Than 350 People Applied for Illinois Medical Marijuana Business Permits. State officials said Wednesday that more than 350 people had applied to legally grow or provide medical marijuana by the Monday afternoon deadline. Some 158 people applied as potential cultivation centers, while 211 applied to operate dispensaries. The state will grant 21 grow center permits and 60 dispensary permits by year's end, with the first legally obtainable medical marijuana available by spring 2015. Pennsylvania Senate Passes Restrictive Medical Marijuana Bill. The state Senate Wednesday approved Senate Bill 1182, after amending it to remove the ability to vaporize the plant and removing a large number of qualifying medical conditions. The bill now goes to the House. Federal Appeals Court to Hear Arguments on Florida Welfare Drug Testing Law. The 11th US Circuit Court of Appeals has set a hearing date of November 20 for Florida Gov. Rick Scott's (R) welfare drug testing law. The state lost last December in US circuit court, with the trial judge ruling that "there is no set of circumstances under which the warrantless, suspicionless drug testing at issue in this case could be constitutionally applied." The state is appealing. 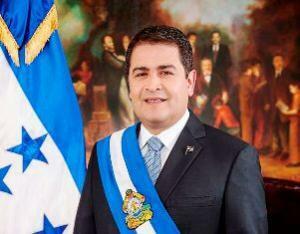 Honduras President Uses UN Speech to Rail Against Drug War. In a speech to the UN General Assembly Wednesday, Honduran President Juan Orlando Hernandez lambasted international drug policies "based on waging a ceaseless war on all fronts without regard to the costs." He urged creation of a "multinational force" to fight drug cartels "just like the one that this morning, President Obama asked for to confront radical fundamentalists. Today, we talk about what is happening in other regions to children, young people, families displaced by war, violence and radical extremists," he said. "But little is said about the situation of thousands of families in the northern triangle of Central America." "It's certainly a question we need to ask ourselves, whether or not marijuana is as serious a drug as heroin, especially given what we’ve seen recently with regard to heroin — the progression of people, from using opioids to heroin use, the spread and the destruction that heroin has perpetrated all around our country,"
I am so weary of these hypocritical jerks. HOW DO THESE PEOPLE ASSUME THE RIGHT TO DECIDE THAT OPIATES ARE 'BAD' AND ALCOHOL is OK? Alcohol is FAR WORSE than heroin. That is 'certainly the observation' we need to make. UNLESS YOU OUTLAW ALCOHOL, LEAVE OPIATES ALONE. Decriminalize heroin and stop whining about 'destruction' unless you want to include alcohol in with it. and stop being two-faced. Individuals have the right to choose for themselves what forms of 'destruction' they are willing to risk. LEGISLATIVE MORONS NEED TO STOP MAKING THESE DECISIONS FOR EVERYONE, AND THEN USING 'PROTECTION' FROM THE POSSIBLE 'DESTRUCTION' as a convenient pretext for snooping, harassing, intimidating, blackmailing, fining, incarcerating, etc., ad infinitum ad nauseam. They need to just plain STOP IT. Hernandez in Honduras is now proving true to his crooked cop instincts. Earlier, he was talking about how much damage the drug wars have done (there's the REAL destruction, Mr. Holder!!!). He probably realized that such a position would put his buddies out of work. No, Mr. Hernandez, we do not need another 'coalition'. What we need is for an END TO PROHIBITION. NOW..
hey man ive been saying the same stuff you have and just as much, very vocally very publicly for a few years now. the only other person as passionate about opiates as myself that ive met in the online reform world was Andy, is that you Andy? If not, I know the way it goes it's hard to be involved in anything, nonetheless online reform when youre an opiate lover living in these days of opiate prohibition but I hope you find the time to continue being involved and saying what youre saying. Heroin isnt bad, addiction is the most ridiculous BS in the world, the addiction industry is a fraud, 12 step is a fraud, prohibition is genocide, heroin should be legal. All the imaginary "evils" of heroin would "magically" disappear if instead of 10$ per bag it were 10$ per bundle. People need to know that the average dose of a proper heroin maintenance patient is 500mgs, these ideas of "the heroin user never is satisfied" is total BS and just the biproduct of the medical industry not knowing anything about opiates... when 500mgs per dose with doses coming 2-4x a day is what enables a heroin user to function, and yet there is CHAOS and PRISON sentences over 1x, ONE, 5 - FIVE MG vicodin, well, obviously something isnt right... 1x 5mg vicodin can cause jail and chaos, 500mgs is needed for a proper dose... well, obviously theres a huge problem here lol.